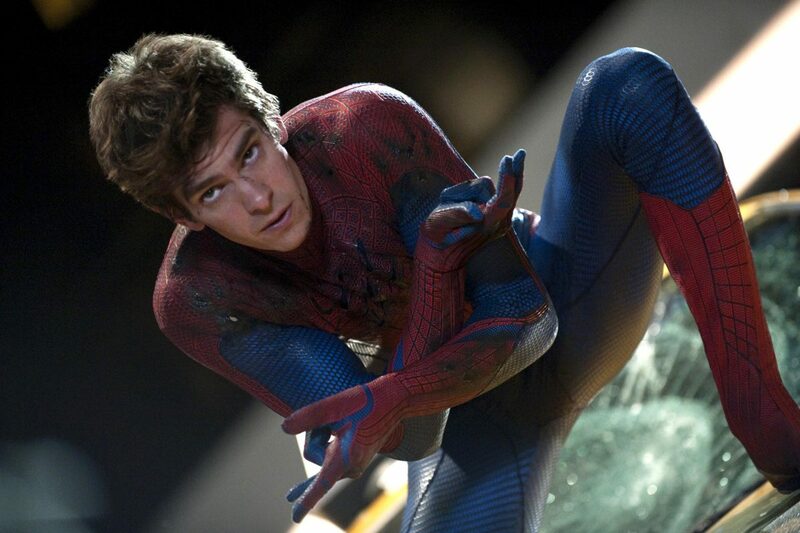 The Amazing Spiderman 2 opens tomorrow for what I hope is his best outing yet. The first Amazing Spiderman movie was definitely a step in the right direction, but ultimately it couldn’t escape that feeling that we’d all seen it before(because we had). Now that the ball and chain of the origin story is gone, it gives Marc Webb and his team the ability to take the gloves off and deliver something truly fresh and original. To get geared up for Spidey’s latest, I’ve re-watched all of the past entries of the series and am ranking them in my preferred order. Do any of Raimi’s films really hold up? Am I full of webshooter fluid? Read on to see! How do you drop the ball on a movie that was so perfectly set up by the exceptional Spiderman 2? You throw in too many villains, an unhealthy dose of camp, and a truly awful(although in retrospect quite funny) montage of emo-Parker doing dance moves in the streets of New York(that hair…THAT HAIR!). 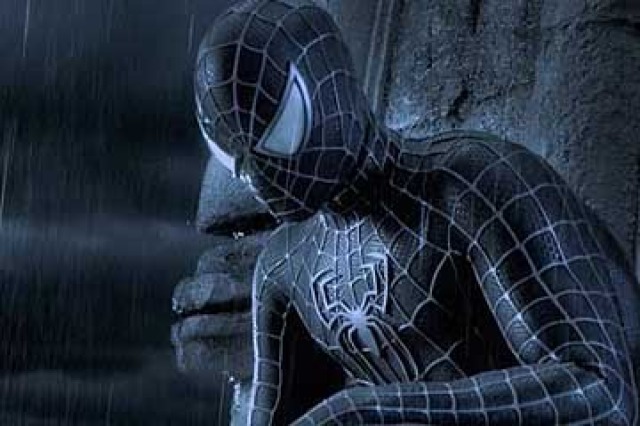 Spiderman 3 had a lot to live up to and even though it was in the more than competent hands of Sam Raimi and gang, it still fell on its face thanks to studio intervention and the ever dangerous sequelitis that so many trilogies fall for. Did I mention they wrecked Venom, inserted random American flags, Gwen Stacey played a role, and Harry tries to get his revenge! My head is spinning from the number of underdeveloped subplots in this film. Spiderman 3 could have easily been a trilogy in on its own merit. This movie has a wrap for being total garbage but after re-watching it, I actually think there are a number of things that work well for the movie. Sandman seems like a truly compelling villain, the Eddie Brock jokes are hilarious, and the the underlying themes of obsession and forgiveness are actually quite powerful(I thought the final scene between Peter and Mary Jane after everything that happened was still pretty poignant). It’s a shame that the mistakes of the movie so greatly overshadow the strong points. We owe a lot to Sam Raimi’s original Spiderman. Along with X-men, this was one of the pioneers of the modern superhero genre and even though it doesn’t hold up quite as well as some of the other films, it still has plenty of merit and fun to be had. Sam Raimi has always been known for his campy sensibilities and cartoonish style and it remains here in full force. Tobey McGuire is a goofy and oftentimes annoying player in the lead, but he fits the serial vibe of the 1960s Spiderman that the film is going for. Willem Dafoe’s Norman Osbourne/Green Goblin is something else as the actor steals every scene he’s in thanks to his over the top performance(I’ll check him off of my Thanksgiving dinner guest list). The movie has melodrama, fun action, and a story right out of the Saturday morning cartoons. What’s keeping this good spider down? The cartoon feel is fun, but now that we live in a post Ironman/Dark Knight era of superhero movies, it’s a tone that doesn’t seem to cut it anymore. Yes we love the fun, but now it’s so hard to take remotely seriously(“The Itsy bitsy spider came out the water spout, down came the Goblin and took the spider out!”) The CGI has aged especially poorly. The drama just isn’t as impactful and the characters seem more like parodies or caricatures of what should be more real. Spiderman is a film that’s great to see for a point of reference and can be a lot of fun, but it’s hardly the film I’d show newcomers who want to know what the webslinger is all about. Unlike the original trilogy, The Amazing Spiderman felt like a more grounded take on the characters which has been all the rage since 2008’s reinvention of the genre. The movie is far from flawless, but it lays the groundwork for what will hopefully be a bright future for the franchise. I’m crossing my webs that The Amazing Spiderman 2 can deliver on the newfound promise of the franchise. How can any of Raimi’s movies possibly compare to the rebooted franchise you ask? Much like X-men 2 and The Dark Knight; Spiderman 2 delivers a movie that is bigger, better, and more layered than its predecessor in nearly every way. In true Empire Strikes Back fashion, this film complicates Peter’s relationships with both Mary Jane and his best friend Harry Osbourne while also pitting our hero against a foe that is more formidable, more sympathetic, more conniving, and more believable than the Green Goblin ever was. 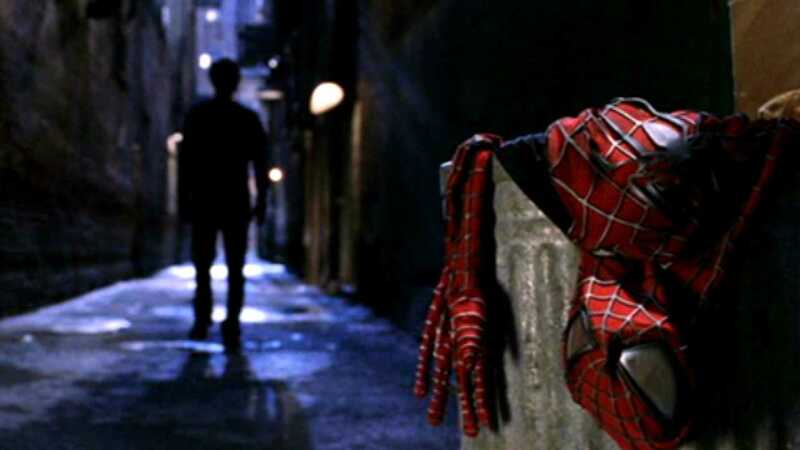 The action set pieces are still spectacular(no pun intended) ten years later and Peter’s struggle to balance his life as a superhero with his work and personal life is still something that is almost universally relatable to viewers of all ages. Sure it still has Raimi’s trademark camp, but it also hits a vulnerability and desperation with the character that none of the other films have been able to capture. What is it like to be a loving well intentioned person who seems to have hit rock bottom and lost it all? How can we decide to remain altruistic so we can help others when we can hardly take care of ourselves? This movie hits on all of these questions while delivering ton of scene chewing fun. Spiderman 2 may be from another era of the superhero genre, but it remains the strongest film the franchise has seen yet thanks to a perfectly fine tuned balance between character drama, action, camp, and moral life lessons.